The treatment is a patented/FDA approved effective, safe and cost-effective procedure without the risks associated with drugs, surgery, injections or anesthesia. Call us at (239) 992-5311 today. YOU DESERVE TO LIVE PAIN FREE! 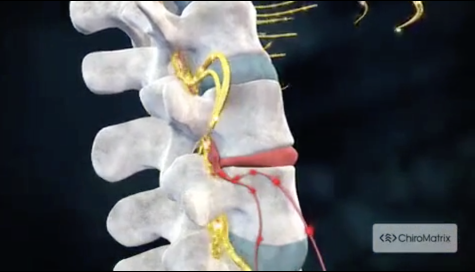 END BACK PAIN WITHOUT SURGERY! The treatment is a patented/FDA approved effective, safe and cost-effectiveprocedure without the risks associated with drugs, surgery, injections oranesthesia. We invite you to Bonita Chiropractic Center where you’ll find doctors, and staff that offer a pleasant, healing atmosphere. At our clinic, we understand that although patients may be diagnosed with the same condition, they respond differently to treatments. For this reason, we tailor a specific plan of action to meet your needs, goals and unique medical and physical condition. No long-term or pre-payment plans are required. We offer simple, short term relief plans and help teach you how to maintain optimal health. When you need us we are here! We hope you find this site helpful in learning more about our gentle chiropractic care. Dr. O'Neill received his Doctrate from Life University, School of Chiropractic and his Bachelor of Science degree from the University of South Florida. "I just wanted to thank you for your service and your help getting my back all "kinked" out. I know it's your job and its what you provide to your clientele, but you and your office go above and beyond. Anna at the front desk is awesome! It's refreshing to see a business be successful and personable at the same time. You run things the old-school way and it's absolutely great, the way things should be done; friendly, personable, appreciative and efficient! It was a pleasure coming to your office." "If people ask me - What is the best thing that happened to you in Florida? My answer is Dr. Ed O'Neill! Thank you for being there for us and helping me through a difficult period. You are by far, one of the most compassionate, talented and kind-hearted doctors we have ever known." "I just wanted to thank you and your staff for all the wonderful care this past season. Also, thank you for the tips on exercises and stretches which when done consistently do work!" "I would, and have recommended these treatments to others who have complained of chronic back pain. On top of that, everyone in your office was helpful and courteous. Thank you again!" "I wanted to thank you for all your help with my back problem, while my wife and I were on vacation. You made it possible for me to drive back home to Illinois. I have since seen my chiropractor back here and together now I am back to normal and without pain. We would also like to thank Anna for her courtesy to us." "There aren't enough words that we could use to express how grateful and how much we appreciate everything that you have done for us. From the very beginning we have always felt that we were in good hands. How very right we were. Please accept our most sincere thanks from two people who feel whole again!"